Third-party sellers managed to hawk cheap, pirated copies of new games on Amazon. While the site has since removed the sketchy versions, it’s a good time to remember to be cautious before you buy anything for those prices, games included. One eagle-eyed Reddit user, CodependentlyWealthy, first spotted listings for new games at the absurdly low price of $3. The games in question, which include Frostpunk and The Observer, are fairly new and not really candidates for such a low price outside of a very generous Steam sale — not legitimately, in any case. After further investigation, buyers found the games were pirated, having been copied from the versions of the game sold on GOG. At first, the response from Amazon seemed to be less than satisfactory. Lewis “SavyGamer” Proctor published chat logs on Twitter, ostensibly from Amazon support, telling him the company couldn’t help him and to contact the manufacturer. Our customers trust that when they make a purchase through Amazon’s store — either directly from Amazon or from its third-party sellers — they will receive authentic products, and we take any claims that endanger that trust seriously. We strictly prohibit the sale of counterfeit products, and these games have been removed. The games’ developers are the ones getting the shortest shrift in this exchange. According to VentureBeat, 11 Bit Studios, the developers of Frostpunk, have been attempting to support users who purchased the pirated copies. It’s also had them removed from Amazon. 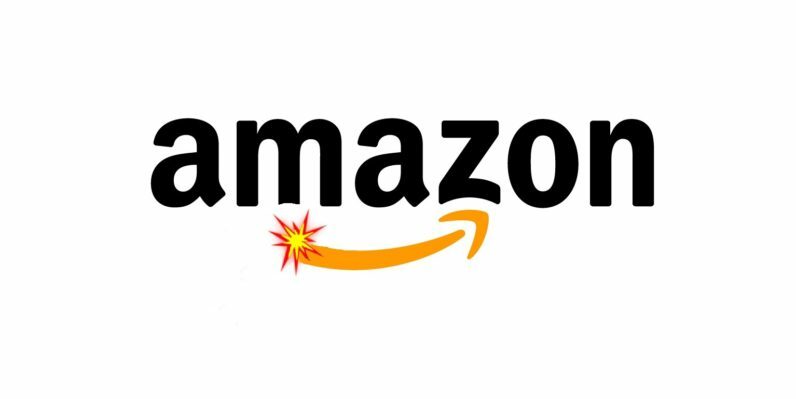 Another game developer who noticed cheap copies of its games on Amazon, Numantian Games, complained that Amazon’s process of removal involved a lot of time-consuming red tape. So let this be a lesson to those of you who think you’ve spotted a plum deal on Amazon: If it seems too good to be true, especially on a new game, then there’s a good chance it is.